This weekend: Trick or treat? Pedal or paddle? - GetGoing NC! This weekend: Trick or treat? Pedal or paddle? There are lots of ways to celebrate Halloween this Saturday. You can go the traditional route by dressing as your favorite explorer (Alferd Packer?) and shaking down the neighbors. Or, you can dress up for a paddle race at the coast or a bike ride (or two) in the mountains. Have you been wondering how to combine your love of music, your paddling and Halloween? Probably not. 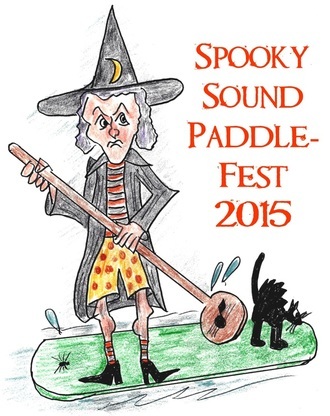 But if you have, consider Saturday’s Spooky Sound PaddleFest 2015 in Wrightsville Beach. Music: the event is sponsored by, and benefits, the Wilmington Symphony Orchestra. Paddling: the event itself is a non-competitive paddle open to canoes, kayaks, standup paddleboards and “other non-motorized craft,” starting and ending at Wrightsville SUP, with a turnaround at Palm Tree Island. Halloween: it’s on Halloween, with awards for best costume and strangest craft. If living to you requires a paddle in your hands, then this looks like a good way to launch your Halloween celebration. Logistics: Spooky Sound PaddleFest 2015, Saturday, Nov. 31, 10 a.m. (check-in begins at 8:30 a.m., clinics and demonstrations at 9 a.m.), Wrightsville SUP, 96 W. Salisbury St., Wrightsville Beach. $15 ($5 for raffle tickets). More info here. Saturday forecast: Sunny, high of 69. Looking ahead: 5th Annual Surf to Sound Challenge, Nov. 6-8, Blockade Runner, Wrightsville beach. More info here. Another thought you may or may not have pondered: as you’re walking down a trail, have you ever wondered about all the living creatures, flora and fauna, visible and non, around you? 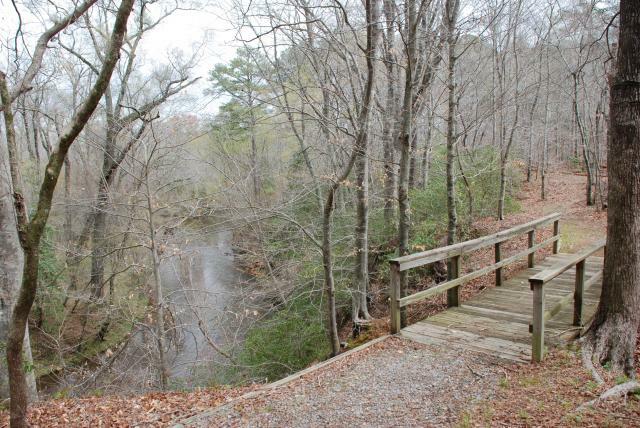 Saturday at Medoc Mountain State Park near Hollister (which is northeast of Louisburg, which is not far from Wake Forest) follow a ranger on a 1.5-mile hike along Bear Swamp Creek to learn what’s in the creek, what’s along the creek, and what’s all the way up to the adjoining ridge … . Really, to learn about everything around you. Or as much as you can learn in an hour or so. Logistics: Bear Creek Swamp Hike, Saturday, Oct. 31, 2 p.m., Medoc Mountain State Park, Hollister. Free. More info here. Saturday forecast: Sunny, high of 64. 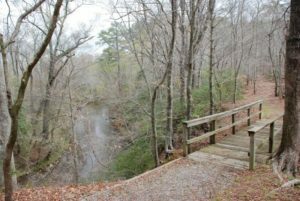 Looking ahead: Eno Quarry History Hike, Eno River State Park, Saturday, Dec. 26. More info here. Or, perhaps you’ve wondered if it’s possible to co-celebrate cycling and Halloween. Yes, Casper, it is possible. If you don’t mind heading to the high country. The Asheville area has two such celebrations Saturday. 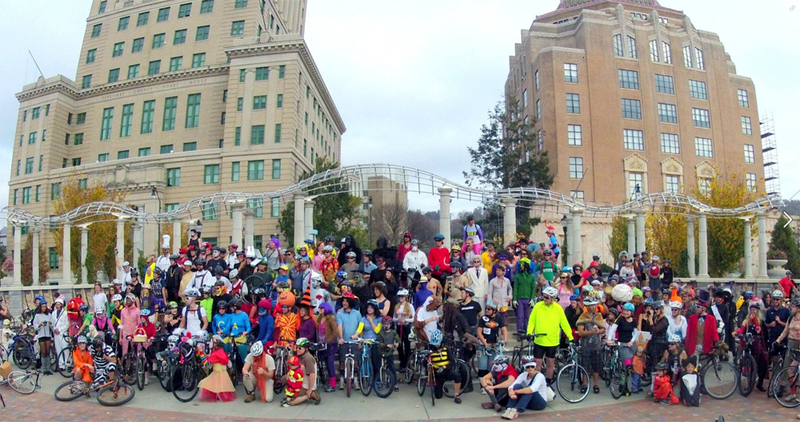 Saturday morning, there’s the Bookwalter Binge Charity Gran Fondo in Black Mountain, with ride options of 30, 62 and 83 miles, while Saturday evening it’s the 9th Annual Asheville on Bikes Pumpkin Pedaller, a 9-mile ride in downtown. Intrigued? Learn more in this article by Karen Chavez of the Asheville Citizen Times. Logistics: Both rides are Saturday; again, for details consult Karen’s article, here. Looking ahead: Naturalist Niche: Survival Skills, Saturday, Nov. 21, Chimney Rock State Park. More info here.